As a fifth grade teacher I loved exploring earth science topics with my students. Finding earth science apps for a classroom with iPads and earth science websites for students on Chromebooks can help students find useful information. You can use these online tools for inspiration for research projects, a place for students to find answers to questions on a new topic, or to simply locate and share a video clip or idea with your class. 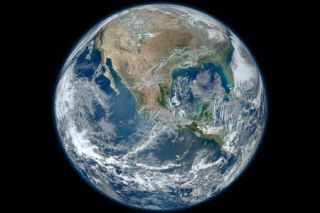 On this list of earth science resources, you’ll find options for classrooms with a range of technology tools. The favorites below could be used for small group explorations of a particular topic or to kick off a lesson with your whole class. As you make a plan for your next earth science unit, identify your learning goals and think about the ways technology tools can energize this experience! Don’t forget to make a plan to check for understanding! You might incorporate #FormativeTech strategies like screencasting or backchanneling to check for understanding. Or you might decide to turn students into creators with some of my favorite creation tools to show off what they’ve learned. Share your ideas and favorites in the comments below!